This was a super fast, thrilling, keep you on your toes book. If I ever need something "taken care of" I'll be sure to call Rico. After I got used to this author's style of writing it wasn't hard to get into this book. I really like the cover, it's eye-catching without being too colorful. I liked Rico's character a lot but I thought after awhile he was kind of over-shadowed. This is a book that had a lot of strong characters in it so it wasn't hard to get swept up in their lives. That being said, I got the impression the book was maybe supposed to be following Rico. I loved to hate Robert for being a stupid asshat. Evelyn and Paul were good characters and I'm glad that their stories were told but I did feel like some of their chapters were unnecessary. I think there was the perfect amount of violence. Rico was a beast and I loved him for it. I loved how sweet and protective he was with Jean (if you can ignore that whole beginning incident). The ending was perfect in my opinion but I do wonder how the series is going to continue. The back of the book says this is the first book in a trilogy but it didn't end in a series kind of way, so I'll be interested to see what happens next. 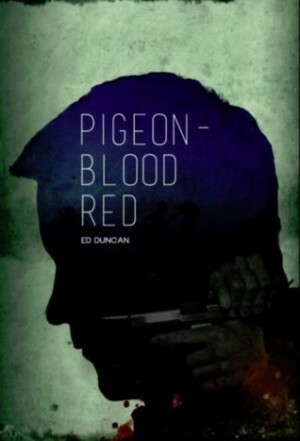 I recommend this to anyone that likes action, thrillers with a little violence.